Second language acquisition; Handbooks, manuals, etc. Amazon.com description: Product Description: What does it mean to acquire a language? What is considered a 'second' language in multilingual settings? 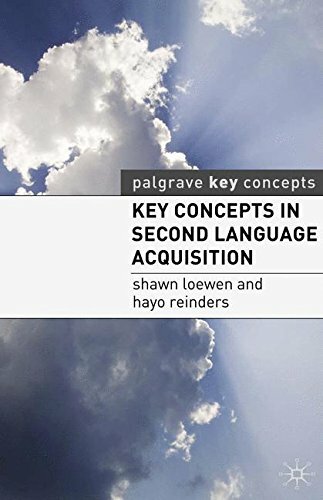 This practical and comprehensive guide provides an opportunity to consider these issues, providing easy access to concise definitions of key terms and concepts in the study of Second Language Acquisition. About: What does it mean to acquire a language?